1. Don’t ever walk alone in any neighborhood, ever. We will make sure we stock Skittles and all the iced tea you need. 2. Since you are an adolescent, it is possible for you to forget #1. If you forget #1 and you do venture out and a strange man starts falling you, don’t run. I know you may be scared but if you run, it may give the appearance that you have done something illegal. Instead, maintain your stride, and try to smile (if you don’t smile you may be mistaken for being too aggressive). As tempted as you may be to turn around, look straight ahead. By this time the sensors your father and I have surgically installed in you will have gone off. We will be there as soon as possible. In the meantime just keep walking. 3. In the event that you ever get into a single-car accident, under no circumstances are you to get out of the car and go seek help. We have installed alarm devices to notify us if you are ever in an accident. Even if the police arrive, stay in the car, don’t approach them because they may see you as a target. Remain as still as possible. I know you may be in pain but it is safer inside the car enduring your injuries than for you to get out and seek help. 4. Lastly, when you and your friends are out having a good time and you decide to stop at a convenience store, turn your music down completely BEFORE you pull into the parking lot. Don’t speak to anyone at all. Do activate the camera system your father and I have installed so we can survey the grounds. After we give you the green light, feel free to go inside and make your purchase, speaking to no one, and returning immediately to the car. If you can just follow these 4 steps we feel confident that you can have a happy productive life and live the American dream. Perhaps a more suitable title for this blog would be, “The Deterioration of Clair Huxtable into Being Mary Jane,” but for the sake of attracting readership I chose to go with the word, ‘evolution.’ I wanted to purposely offend all of your memories of the smooth, professional, beautiful wife, mother of five, New York City lawyer, television persona, Clair Huxtable and make you think twice about your affections for the the charming, beautiful, professional adulterer, Mary Jane. In a time when black America needs no help in projecting harmful and negative stereotypes within its communities, television writers and more specifically black television writers are cashing in exponentially on black female television heroines such as Olivia Pope and Mary Jane while they avoid less controversial role portrayals like Clair Huxtable as if she were a plague, but I understand. Clair is played out. No one can be that beautiful, that happy, and that professional all of the time. Moreover, by today’s television standards, Clair is boring. She loved Cliff and Cliff only. When her children needed her advice, she seemed happy to give it to them and her job always seemed to be a distant third behind Sandra, Denise, Theo, Vanessa, Rudy, and Cliff respectively. 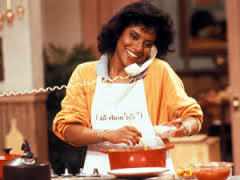 Understandably, in a time when more women are working and raising children in their single state, I am sure it can be hard to relate to Clair Huxtable, but is it really that easy to relate to Mary Jane? But alas, it is entertainment and at the end of the show the emotions and thrills and chills that you felt as you watched Mary Jane were just that; a few emotions and a few hormones, nothing more and nothing less. Undoubtedly, Clair never evoked those types of emotions, but perhaps Clair evoked something equally if not more important. She evoked love, honor, and respect for marriage. Furthermore, as much as Clair’s role has evolved, there is still one group that seems extremely infatuated, perhaps slightly obsessed, and highly admirable of Clair and that group is black males. Unquestionably, Clair is still the apple of their eye. The way she smiled at Cliff, respected him, and cooked his dinner as he waited in excited anticipation; the way she cared for the kids and most importantly, the way she greeted him during the bedroom scenes, Cliff in his silk pj’s and she waiting expectantly in bed. Clair was and still is a man’s ideal picture of a woman and most importantly a wife, and Mary Jane is and will always be a man’s ideal picture of a woman who makes a good side chick. Now that I am married, I realize that Clair set the bar really high, perhaps even impossibly high, but Mary Jane has done the exact opposite by re-positioning the bar just as low. Yes it’s entertaining, but it’s also detrimental and I hope we won’t get so caught up in the drama that we forget it’s not the reality for the majority. Besides, even Beyonce made Jay-Z put a ring on it before she became drunk in love.